come in various styles representing all the favourite Angry Birds characters. Each individual eraser can be disassembled into 8 pieces and assembled once again. 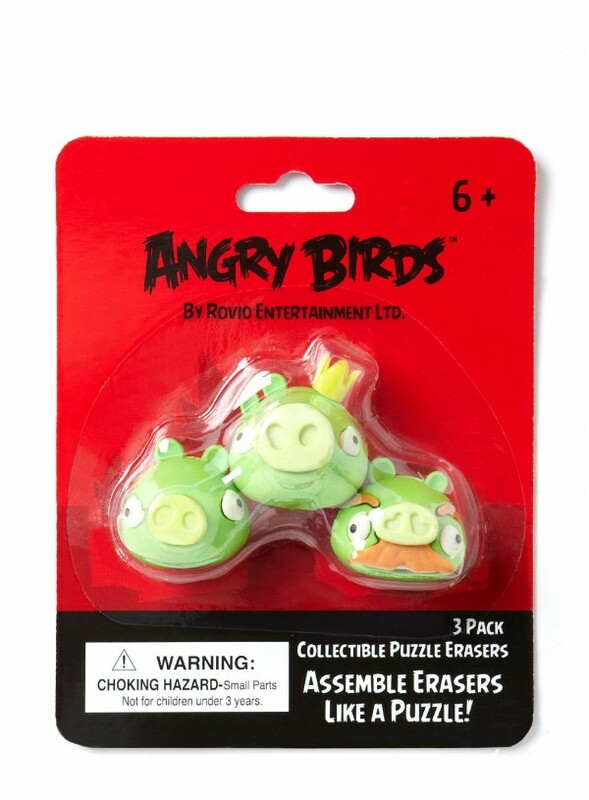 Each pack contains 3 puzzle erasers of the same style.